Brigadier General Gustav E. Lundquist was commander of the Arnold Engineering Development Center, Air Force Systems Command, Arnold Air Force Station, Tennessee. Born in Chicago, Illinois, in 1919, he graduated from Lane Technical High in 1937 and Wright Junior College in 1939, both in Chicago, Illinois. He attended the University of Illinois before beginning his military career in May 1940 as an aviation cadet. Upon completion of flying training at Randolph and Kelly fields, Texas, he served from February to December 1941 as a flying instructor at Randolph and Goodfellow fields, Texas, and at Craig Field, Ala. He was then assigned as squadron operations officer at Napier Field, Alabama. After graduating from experimental test pilot school in 1942, he served at Wright Field, Ohio as an experimental test pilot and later chief test pilot until 1944. During this time he conducted prototype testing of many of the aircraft eventually used in combat operations in World War II. During June and July 1944 he flew with the 353d Fighter Group in England. His Mustang, P-51, airplane was shot down over enemy territory in July 1944 and he was a prisoner of war in Germany until May 1945. General Lundquist returned to Wright Field, Ohio, in June 1945 as chief of the Fighter Test Section. He attended Command and General Staff School at Fort Leavenworth, Kansas, from October 1945 to February 1946, and again returned to Wright Field as chief of the Fighter Test Section and to continue his work as an experimental test pilot. In September 1946 General Lundquist competed in the Cleveland Air Races and won the Thompson Trophy race in an F-80 Shooting Star. He left Wright Field in September 1946 to attend the University of Illinois, earning a bachelor of science degree in mechanical engineering in February 1948. Returning to Wright Field after graduation, he directed and served as one of the three experimental test pilots for the X-1 program, the rocket powered research aircraft which was first to fly faster than the speed of sound. Assigned to the Canal Zone from August 1948 to November 1949, General Lundquist served as director of the Flight Test Section, Panama Air Depot, Curundu Heights, and later as maintenance officer, Headquarters 23d Fighter Group at Howard Air Force Base. In November 1949 the general was assigned to the Deputy Chief of Staff, Personnel, Headquarters U.S. Air Force, as chief of the Aircraft Maintenance Training Section. He left the Pentagon in September 1950 to become a graduate student at North Carolina State College, where he received a master of science degree in nuclear engineering in May 1952. General Lundquist was then assigned to the Atomic Energy Commission in Washington, D.C., and became chief of Weapons Projects Section in September 1953. He served in this capacity until July 1955 when he was assigned to England as director of the U.S. Air Force Engineering Liaison Office, which was responsible for the exchange of research and development information with the Royal Air Force. He returned to the United States in July 1958 and was assigned to Headquarters Air Research & Development Command in Washington, D.C., as deputy director of air weapons. In August 1960 he became a student at the National War College, Fort McNair, Washington, D.C. Upon graduation in June 1961, he became professor and head of the Department of Physics at the U.S. Air Force Academy. In August 1963 General Lundquist left the Air Force Academy to become deputy for engineering and technology for the Electronic Systems Division, Air Force Systems Command, L.G. Hanscom Field, Massachusetts, a post held until September 1965. During this period, he also served on the National Range Implementation Group. 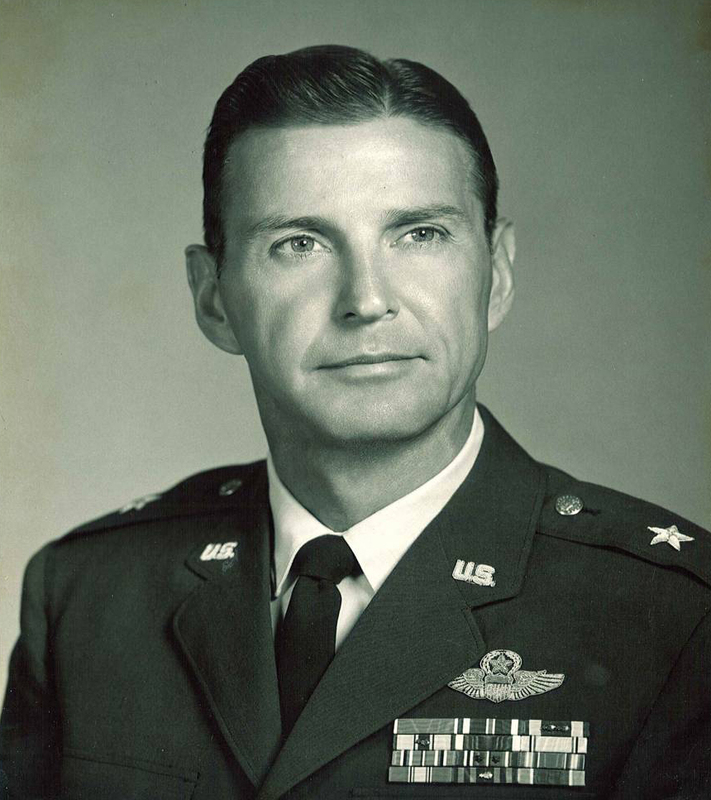 General Lundquist next served as deputy commander of the Rome Air Development Center, Air Force Systems Command, Griffiss Air Force Base, New York, from September 1965 to June 1966. In June 1966 General Lundquist assumed command of the Systems Engineering Group, Research and Technology Division, Wright-Patterson Air Force Base, Ohio, and also served as deputy commander of the Research & Technology Division, Wright-Patterson Air Force Base. He became commander of the Arnold Engineering Development Center (AFSC), in August 1967. His military decorations include the Legion of Merit, Distinguished Flying Cross, Air Medal with two oak leaf clusters, Air Force Commendation Medal with oak leaf cluster and the Purple Heart. Brigadier General Gustav E. Lundquist, age 88, died on Tuesday, February 5, 2008. As a veteran engineer/pilot, he had been involved in aviation his entire life. Commissioned in 1941, he became one of the leading USAF experimental test pilots during WWII and flew the X-1, among others. He flew combat missions in the European theater during WWII and was shot down in July 1944 and spent the remainder of the war as a prisoner. After the war, he returned to Wright Field in Dayton, Ohio to resume experimental flight testing. In 1946, while assigned to the Flight Test Division of Wright Field, he won the Thompson Trophy, flying one of the early F-80 Shooting Stars in the Cleveland Air Races. In 1948, he directed the XS-1 rocket powered research aircraft test program and served as one of it's three test pilots. In his 29 years of military service with USAF, General Lundquist served as Chief of the Weapons Projects Section for the Atomic Energy Commission; Director of the USAF Engineering Liaison Office in London; Deputy Director of Air Weapons, Air Research and Development Command; Professor and Head of the Air Force Academy Physics Department; Deputy for Engineering and Technology at the Air Force systems Command Electronics Systems Division; Deputy Commander of the Rome Air Development Center, Griffiss Air Force Base, NY; Commander of the Systems Engineering Group, Wright Patterson Air Force Base, Ohio. General Lundquist earned his B.S. degree from the University of Illinois and M.S. degree in nuclear physics from North Carolina State University and completed three years of his study of law. He was a registered professional engineer, a licensed commercial pilot and former Air Force command pilot, member of the Tennessee and National Society of Professional Engineers, former member of the Society of Experimental Test Pilots, and Associate Fellow of the American Institute of Aeronautics and Astronautics. He was an Associate Administrator for Engineering and Development as well as executive director for all Federal Aviation Administration (FAA) research, engineering and development. He was involved in major significant development projects including automation of air traffic control at primary facilities across the nation, new microwave guidance system for all weather approach and landings, aerosatellite applications with automatic communication and surveillance along with short haul aircraft and airport design and operational criteria. From 1970 through July 1976, he served as a member of NASA's research and technology advisory counsel. Brigadier General Lundquist is survived by his beloved wife of 63 years, Mary Taliaferro Parrish (Tolly) Lundquist; son, Eric Lundquist and wife, Leslie Murchy; daughters: Beverly Lundquist, Donna Haro and husband, Richard; grandchildren: Kathryn Lundquist, Averly Lundquist, Chris Nielsen and Erica Nielsen; brothers: Bill Lundquist and wife, Marty; and George Lundquist and wife, Marie. We all loved and respected him, he will be missed dearly.